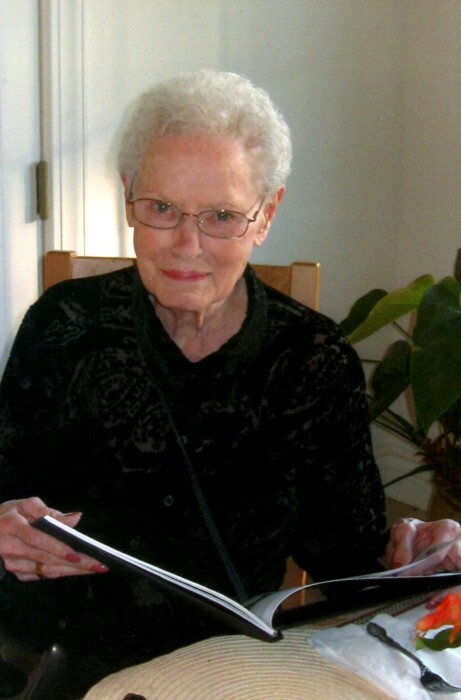 Agnes “Aggie” Yochum Haworth died March 25 in Fremont, California at age 98. She was born in Lewiston, Idaho on August 8, 1920. Her father, Joseph Bernard Yochum, came from Austria to America in 1889. Aggie remembered her father telling her he herded goats in the Austrian Alps. He married Victoria Doblander, also from Austria, on August 25, 1901. They owned a farm near Peola, Washington, raising hogs and their eight children. Aggie was the youngest. She remembered her family often sang together. One sister later sang with Burl Ives. Aggie’s mother yodeled. She attended Clarkston High School and graduated in 1938. During high school, she met her future husband, Ralph E. Haworth. She took the train to California to meet him at Hamilton Field, California and was married August 11, 1942 in San Rafael, California. Master Sgt. Ralph E. Haworth of the U.S. Army Air Corps served four years in England and Europe. He participated in the Normandy Invasion at Omaha Beach and went ashore on June 7, 1944. After the end of the war, they remained in California, living in San Francisco and Terra Linda (San Rafael) in Marin County, where they eventually purchased their first home. In Terra Linda, they hosted many wonderful parties and memorable holiday gatherings for their family and friends. They also owned a resort cabin on the Russian River for many years, welcoming family members and friends there each summer. Aggie held various secretarial positions and later opened her own alteration business in the Marin area. She was an exceptional seamstress, sewing most of her own clothes, as well as gorgeous sports jackets for her husband. Ralph was an executive with an electrical supply company. His work took them from the Bay Area first to Texas and later to New Jersey. When Ralph retired, they returned to California where they built a new home in Lake of the Pines near Sacramento. After Ralph’s death, Aggie moved to Alameda to be near her older sister, Bernadine Evans. Aggie was a long-time member of the Alameda Elks Lodge. She was the last “Greatest Generation” survivor of her Yochum and Haworth families. Numerous nieces and nephews mourn her loss. Aggie was a beloved daughter, sister, wife, and aunt. Her sense of humor, kindness, and generous and loving heart will be long remembered. The Greer Family Mortuary of Alameda, California is making final arrangements. At her request, no service will be held. Donations in her memory may be made to a charity of your choice.